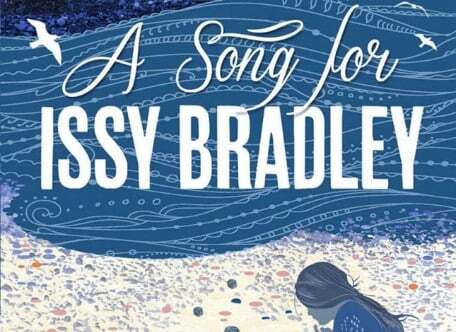 For July’s book at the Hyde Park Book Club book club, I chose A Song for Issy Bradley by Carys Bray. Having wanted to read this book since it was published to great acclaim a few years back, then having the pleasure of hearing Carys speak at the Leeds Big Bookend festival in June, this seemed like a brilliant time to read it. Tracing the impact of a young child’s death on a northern Mormon family, A Song for Issy Bradley is one of the most heart-breaking novels I’ve read in some time. Bray dramatises each family member’s unique, and often conflicting, reactions to this death with a sensitivity and precision that imbues the narrative with suspense. Not only did I not know there were any, or many, Mormons in the UK, I didn’t know it was possible to write about grief with such depth and humour. Carys was kind enough to answer answer a few questions about the book. You narrate from the – frequently conflicting – point of view of many different characters. Was this difficult to manage? Was it easier to get inside some characters’ heads than others? I enjoyed writing the novel from different viewpoints. It meant that I didn’t get bored of any of the voices and, more than that, it gave me a way to explore the Mormon community without resorting to a single portrayal or narrative. I wanted to be fair in my depiction of Mormons, showing a spectrum of views from people who believed completely, to those who didn’t believe at all. Using different voices seemed to be a good way of going about this. The novel brilliantly dissects the ways in which stories – in this case, religious ones – help and hinder us through life. Each character has their own way of using the Mormon stories to etch out a response to their felt experiences. You’ve written and talked about your own experiences of the church and your reasons for leaving it. Do you think reading and writing literature can help us navigate a path through the stories we hear and the things we feel? Yes, I do. I think reading gives us an opportunity to try on different lives and perspectives and it allows us to vicariously experience dilemmas and difficulties that we wouldn’t otherwise encounter. What was the hardest part or aspect of the novel to write? I think Ian’s parts of the novel were the hardest to write. I knew that a lot of readers wouldn’t like him, but I wanted there to be moments when they felt sorry for him or at least understood how he was feeling. It was a fine line! I liked writing Jacob’s chapters. I liked his innocence and optimism. Are there any particular writers or books which influenced this novel or your writing in general? Before I wrote the novel I was reading a lot of short stories by writers like Helen Simpson and Ali Smith. I was also reading novels by Carol Shields and Margaret Forster. I think their writing about relationships, family, and home probably influenced me. What is the strangest or most surprising response to the novel you’ve encountered? Oooh, that’s an interesting question! I don’t think I’ve had any strange responses. I’ve had a lot of emails from people who want to ask me about the book’s ending. ‘What happens next?’ seems to be a common question, but it’s one I can’t answer because the book ends on the last page for me, too. Finally, how do you feel about the novel now that your second is out and it’s a while since publication? It’s the book that made me feel like it was okay to call myself a writer – I feel proud of it and tremendously lucky to have had it published. You can find out more about Carys Bray and her books here. The Hyde Park Book Club Book Club will discuss A Song for Issy Bradley on Thursday 14th June, 6.30pm. Feel free to come along!